What kind of images pop into your head when you hear or read that word? For me, I envision the struggle, the love, the heartbreak, the forgiveness, the pain, the redemption, and my favorite guy in the whole entire world, my hubby. And he is in every single image I see. He and I have been through some incredibly rough patches in our marriage. We have also been through some beautiful places together in this life we share. Marriage is ANYTHING but roses and love stories. It can be those things but ultimately marriage is hard. Yet, marriage is safe. But again, marriage is a daily task that you cannot set aside. Being a Godly wife is seriously one of the hardest jobs I have ever had, including my other job, called motherhood. 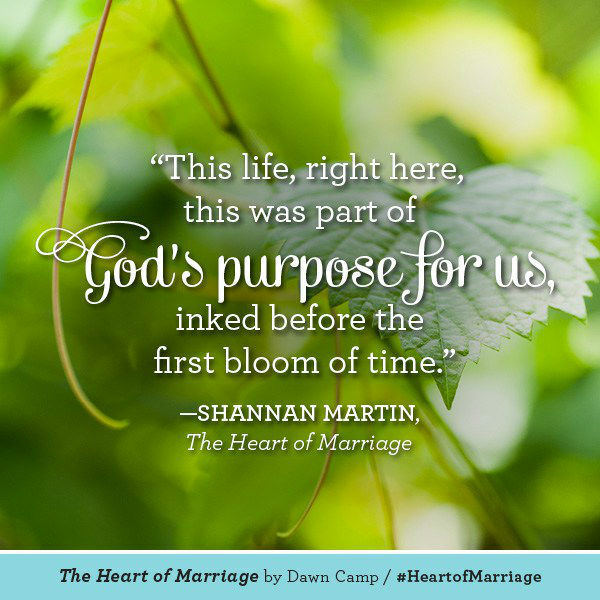 I am so grateful that I was blessed to be on the launch team for Dawn Camp’s newest book, The Heart of Marriage. This book is a collection of stories that celebrate the adventure of life together – the good, the bad, the ugly, and the beautiful. As I have read through this book, I see so many characteristics of my own marriage. And not all of them are the good characteristics of the Godly wife I yearn to be. That is a tough pill to swallow. That would be when I remember the rough patches my husband and I have been though. On the other hand though, I see the the joy and beauty of marriage and I have such sweet memories with my love. There are a bunch of different authors of the stores in this book. Some I have read before, like Lisa Jacobson, Lisa-Jo Baker, Dawn Camp (of course), Richard Paul Evans, and Joy Forney and others that I have read and enjoyed. Then there are some new authors that I have not read before and I am so pleased I have found them in this book. I have enjoyed, Alia Joy Hagenbach, Ann Swindle, Marci Stevens, Shelly Miller, and more! Each story is partitioned into a subcategory, as marriage doesn’t really have a mold; marriage bends, sways, and manifests differently for each couple. This quote in particular has stuck with me as I dwell on my marriage, and how it can be improved. “There are two types of couples in this world.Those that want to work everything out before they commit, and those that want to commit to working everything out. Which do you want to be?” (page 92) Looking back over my almost 17 years together I am so blessed to see that my husband and I are the second kind of couple. We will work everything out. Sometimes it takes longer, some creases take more ironing than others, but we work things out. There is no other option in our eyes. I believe that is because God has His hand on our marriage. I read another quote that summarizes exactly how I see marriage. Again, this marriage thing is an incredibly hard relationship to maintain, and this is why, “How can two broken people in a sin-stained world do anything but make each other bleed? Only grace, only God. I don’t know any other way, and this way is hard and demanding yet so full of beauty and joy I cannot contain it.” (page 130) Seriously. How many times I have blown it. Been the woman I despise. Said harsh and untrue things from a place I hate to admit still exists in me. Heard myself repeat unkind things because I knew it would be damaging. But God . . .
God can restore anything. Even the wounds inflicted to the most precious man I have ever known. This man that vowed to love me in the trenches (which he has done), the man that vowed to care for me in sickness (which is never pretty), the man that vowed to provide for me (even when I am ungrateful). God can put the salve on those wounds and make the man I love more than anything, heal and continue on loving me. When I am so unlovable. It goes both ways too. The man that I love deeper than any part of the ocean has been known to inflict mortal wounds on my soul (that is what it felt like at the time). Words. They mean so much to me. They are my downfall when I use them harshly but they also are my demise when they are hurtled at me. I take them to heart and this man, well, he forgets sometimes. No other man can make me feel so pitiful, so unworthy, so unloveable. But God . . . I come from a place that words formed me more than the affection, attention, and love I received. This is a sometimes daily battle for me. The devil knows my weakness and he uses them to chip away at me. He uses them to try and remind me why I feel the way I do. The then spills over into my marriage. And things happen. Arguments and harsh words can wound me deeply and it takes me days to recover. But God CAN restore. He can restore my heart with the reminders that are truth, not lies. I am NONE of the things that I might believe about myself. And with God, things in my marriage are able to be forgiven and healing can take place. If you are planning on getting married. Are recently married. Or you have been married many years. 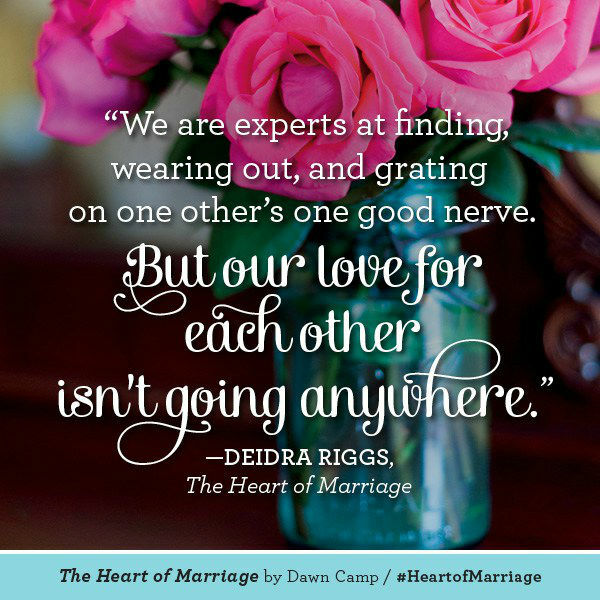 This book, The Heart of Marriage is a book that you need to read. There is something for you in this book. I guarantee it. 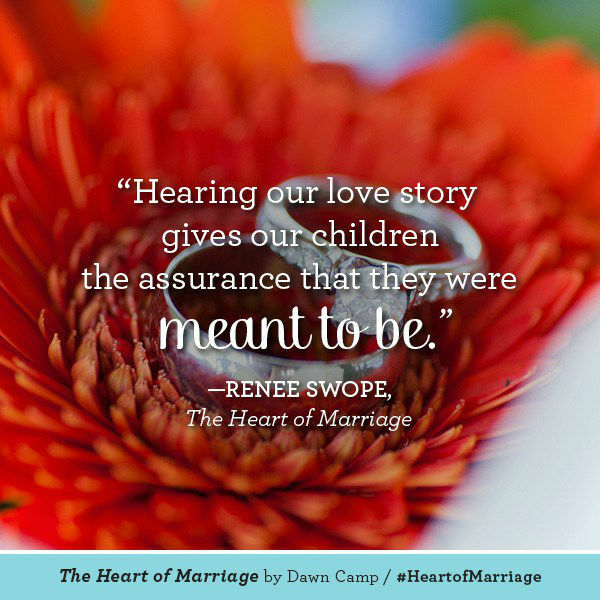 The one constant throughout the entire book is this – When God is in our marriages, our marriages work. No matter how far you think that you are in the pit, God can restore your marriage. God can heal you and your marriage. God can change hearts. God CAN. Not you and I alone. No. But God CAN. He has restored mine,He has restored many others. Marriage is designed by God. He loves marriage. At the same time though, the devil hates marriage and he sets out to destroy every single one of them. As Christians it is our responsibility to protect our marriages for the evil clutches of the devil. He desires to come in to kill and destroy the things that are blessed of God. And that means our marriages. We cannot allow him to do this any more. Grab this book and you will see that ANYTHING is possible with God. 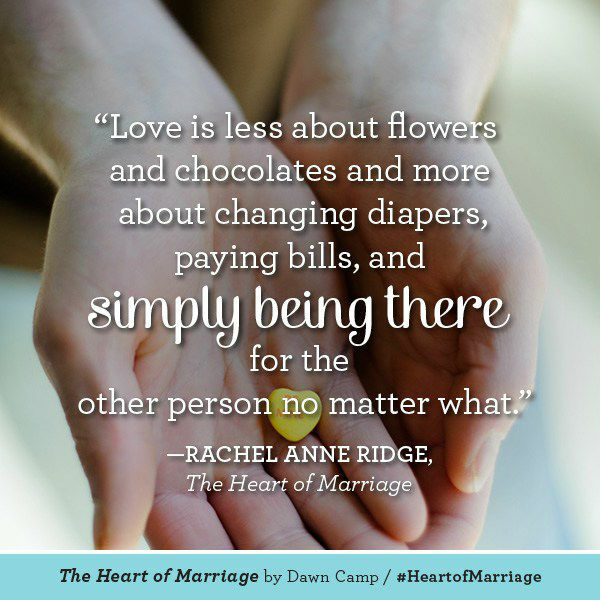 Including restoring your marriage, your heart, your husband’s heart, and so much more. I have been blessed, I have been encouraged, I have cried, I have laughed because of this book. It is so worth it to invest in your marriage and this book will allow you to witness just how much God wants you to do the same exact thing. Grab your copy, read it, then invite God into (or back into) your marriage today. Buy it Now on ChrsitianBook.com! Thank you Dawn for allowing me to join this launch team. The Heart of Marriage was such an encouragement to me, an absolute blessing! This is such a thoughtful review! I love this line: “The one constant throughout the entire book is this – When God is in our marriages, our marriages work.” Thank you, Callie!